LA foodies and fans of ramen have a continuing debate on the best spot in the city to grab these delicious Japanese noodles. Even with all the variations in noodles, broth, and toppings, Daikokuya in Little Tokyo is still one of the most popular ramen shops in LA. 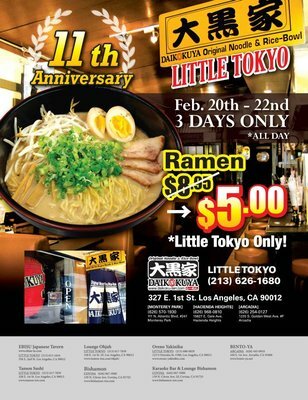 This coming Wednesday through Friday, they will be celebrating their 11th anniversary by offering their signature ramen for just $5! While there is usually always a wait, we are sure the demand will be even higher during this event, so be prepared… but we promise you the wait is well worth it for some of the best ramen in LA! Over the past few years, dineLA Restaurant Week has grown into the premier dining event for LA, introducing foodies to many of the best restaurants the city has to offer. 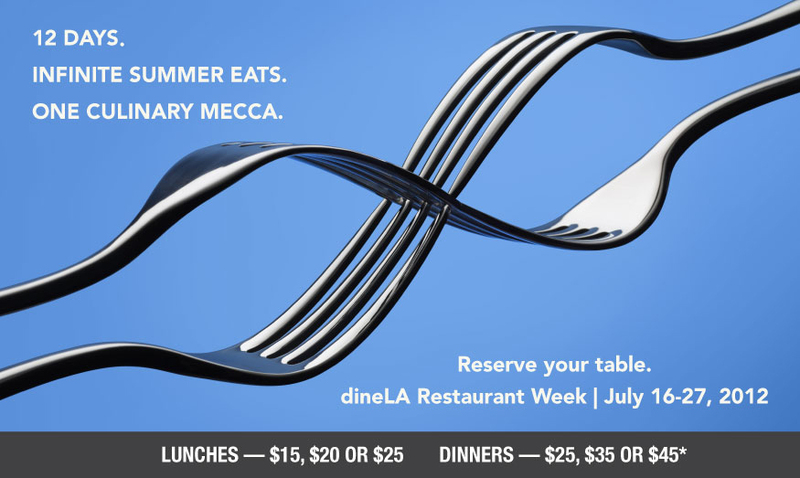 The two-week event returns July 16th through July 27th, featuring specially priced lunch and dinner prix fixe menus. Pricing is set at three tiers, ranging from $15-$25 for lunch and $25-$45 for dinner. We have attended this event in the past and we love that it allows diners to sample each restaurant’s signature dishes and culinary styles at a reasonable price. Reservations are highly encouraged, so head over to the website to see the participating restaurants and their dineLA menus. Bon appetit!